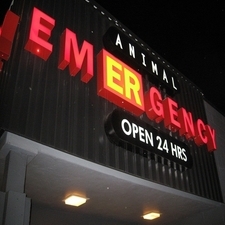 For emergencies after hours, we strongly advise that you go to the Vancouver Animal Emergency Clinic located at 2303 Alberta Street in Vancouver. Their phone number is 604.879.3737and their website is www.animaler.com. They are a group of highly trained caring professionals that are there to help you when we cannot. If your pet goes to see this team of professionals, we get a very detailed report the following day and all follow-up care is taken care of by our practice.